John’s books are devoid of psychological jargon, making the world of Family Constellations and ancestral healing easily accessible. The clarity of his writing style will take you on a profound journey of deep understanding where your healing journey can unfold with every page. Shavasti blends traditional psychotherapy process with soul work and echoes of shamanism, a must for anyone on the path of self discovery and healing. 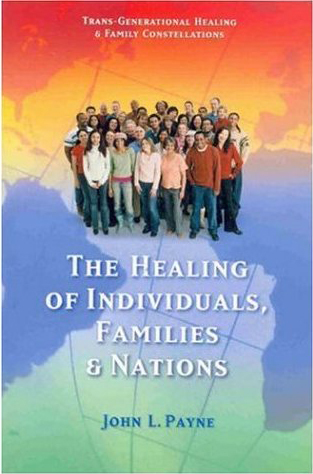 This book’s perspective on healing will expand the reader’s vision, beyond the scope of healing as a purely individual and personal matter, to one that spans generations in its scope, crosses racial and cultural barriers and sheds new light on relationships between victims and perpetrators, be they from governments and regimes, wars, sexual abuse or crime. Payne’s “Orders of Love” describe a natural pattern that has been observed in the practice of Family Constellations – namely, that there is a distinct order stating who belongs and who does not belong, not only in a family system, but also in larger groups such as nations. With its many examples and stories, Payne’s book brings back into belonging those who have been excluded and bridges the gap between the healing of an individual and the healing of a family, ethnic and national souls. Enriched by numerous case studies and years of client experience, this book guides readers to move beyond the tangled web of stories they tell themselves and others about their lives, relationships, illnesses, and disruptive life patterns. Step-by-step, the chapters uncover the origins of behaviours and feelings such as drug or alcohol addiction, failed careers, and depression. Hidden loyalties to people and ideas are introduced as the underlying causes of these obstacles, which cloud the path to success and cause people to believe the stories they tell themselves, eventually losing touch with the truth. Through the examples in this book, readers will learn to acknowledge and embrace truth, spelling out the explicit facts and rejecting the fictions they have created to excuse their failings. Once in a rare while a writer emerges whose love is so undistorted, so confident, so clear that the writing issuing out of him seems translucent as breath, a sheer transmission from one heart to another. Shavasti is such a writer and his book, Embracing the Power of Truth: Tools for Liberating your Heart is both a compelling story of personal redemption and a tuning fork for self-alignment. Shavasti’s background as an energy healer equips him to cast timeless truths in fresh light as when he shows us “hatred” on an energetic level and helps us see how all hatred is born of “innocent and devoted love betrayed”. He explores how “pure, unadulterated, untarnished, undistorted truth” can never be arrived at through discursive reasoning, but rather emerges from the silence of our hearts to return us to clarity, simplicity, love. His descriptions of how truth feels at an energetic level gives new meaning to the Biblical “and the truth shall set you free.” Shavasti’s own expression conveys the simplicity and silence of the heart’s pure utterance. No doubt he is a gifted healer and seer and mystic. His out-of-body experiences lend perspective to age-old conceptions of God’s love extending to the fall of a sparrow and every hair on man’s head. He confronts divine love as a brilliant darkness he names “The Benevolence” and poetically conveys what contact with this source feels like. His experience of seeing and hearing the extraordinary luminescence of a single blade of grass, enables him to describe an energetic that conveys both awareness and expressive power—each blade intoning a single, unique, extraordinary note that contributes to the chorus of all life. Shavasti’s vision of unity conveyed in the chapter “On the Edge of Infinity” is as good as mystical writing gets—the “ineffable” made articulate, accessible. Likewise his capacity to render visible the mystery of the Teacher-Disciple relationship as he offers glimpses through higher-sense-perception of his Guru, India’s hugging Saint, Amma, and enables us to feel moment by moment both the gentle power of this amazing woman and the distinct call that will lead him deeper into Love’s mysteries. I’ve been a fan of Shavasti’s books and teachings for a few years, his books about Family Constellations and ancestral healing (under the author name of John L. Payne) are some of my favourites in spirituality and healing. 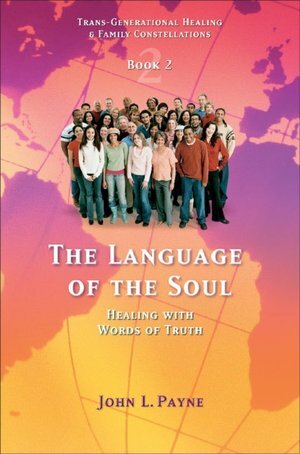 This book, for someone who struggles with the over-saturation of certain messages and beliefs within the popular spiritual/self help/new age communities, is a breath of fresh air, bringing to awareness the importance of topics such as hatred and self-hatred, having a relationship to the unknown and to mystery, and the spiritual and mystical realities that underpin our human existence. This book bridges the human world – with all of our problems, difficulties, challenges, as well as our potential, beauty and gifts – with the spiritual world, the world of gods and spirits and guides. I was particularly moved when I read Shavasti’s description about the heart of humanity – the idea that humankind has a spirit just for the species (just as all animal and plant species, and everything in nature, has its own spirit). I’ve been familiar with that concept for a while, but somehow hadn’t felt or deeply realised the presence of the collective human soul. I was deeply touched, and that awareness has already changed my perception of my self and of humanity in general, and I know will have ramifications in my healing and therapeutic work. This book will take you on a very personal journey to share in the author’s recovery form deep personal tragedy that led to the transformation of his healing work and his life. The candidly inspiring personal accounts shared by Shavasti, a seasoned and experienced healer and spiritual teacher, will not only inspire you, but also give you a doorway into simple but powerful truths that may have been eluding you. After years of already being established as a healer and author, Shavasti suddenly finds himself with a gun to his head during a harrowing armed robbery experience. This book will take you on a very intimate journey with him as he discovers all of the pitfalls, illusions and delusions we can easily become trapped in on a path of personal and spiritual development – he welcomes you to this journey of awakening. In part biographical, this newest work by Shavasti is filled with profound teachings and a level of candor that will invite you to meet yourself with both authenticity and compassion – aiding the longed for awakening of your very own heart. His moving and sometimes challenging words will help you to bridge the gap between where you are now, possibly after many years of searching, to get more than just a glimpse of what many enlightened teachers have already shared. Embracing the Power of Truth presents truth in a powerful, inclusive and pervasive ways that will invite to surrender to the core of your being – irrespective of what you discover about yourself along the way. You will discover that to love is totally natural and that there is, and never has been, anything wrong with you. The difficult task of making peace with an often tumultuous world is made simple with this unique spiritual guide to the human soul. Through deeper understanding of the soul and its purpose, inherited beliefs can be understood and overcome. A number of practical exercises are provided to help cleanse the mind of these inhibiting loyalties. The novel process of connecting with the souls of ancestors is also explained in-depth and is shown to produce a remarkable healing power. Ultimately, a carefully transformed set of values will lead to an improved attitude towards life as a whole. 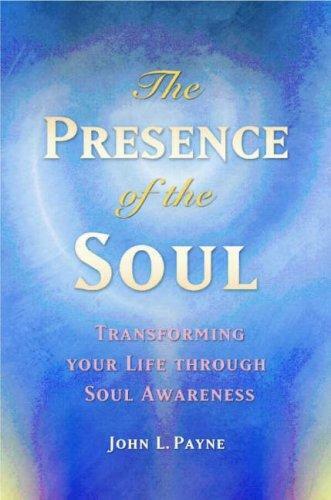 The Presence of the Soul” takes us beyond the providence of negative emotions into a realm that is truly the essence of our humanity. John Payne is our very wise and illuminated guide as he explains how our Soul teaches us to include ourselves and the whole universe in a grateful embrace. The awareness of an inclusive Soul will enlighten and bring peace to everyone. Perhaps more aptly named “The Handbook for Being Human”, “The Presence of The Soul” is an enigmatic revealing of history, fate, destiny and the ever present relationship between the personality and the soul of humanity. John Payne weaves an effervescent tapestry of our ancestry with the collective healing of the consciousness of humanity. This brilliant work is a must read for anyone who desires to better understand who they really are within the context of who they think they are. Cheers to John Payne for bringing in your divine expression to heal the soul of humanity.